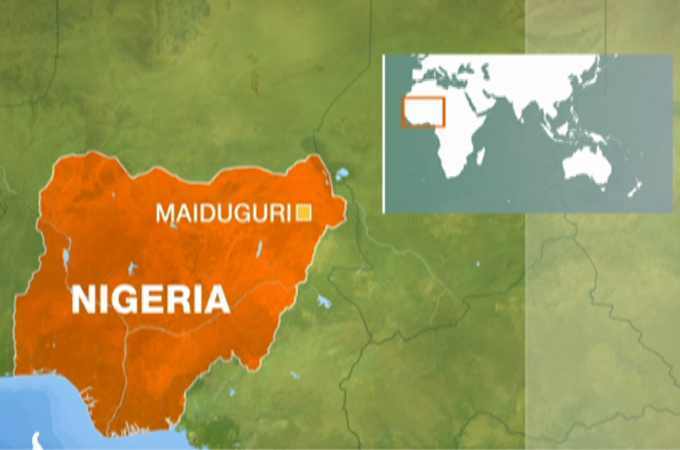 Three suicide bombers were killed in an attempted attack in Nigeria’s northeastern city of Maiduguri on Friday, the police said Saturday. Police spokesperson in restive Borno State Victor Isuzu, who confirmed the killing to Xinhua, said the incident occurred at about 9.49 p.m. local time when three suicide bombers, a male and two females attempted to penetrate Usmanti area of the state. “The suicide bombers were chased by security personnel in the ensuing stampede and in an attempt to escape arrest, the suicide bombers hurriedly detonated the improvised explosive devices (IEDs) strapped on their bodies killing themselves,” he added. “However, two members of the security personnel sustained injuries and were rushed to University of Maiduguri Teaching Hospital,” he said. Maiduguri and other liberated areas have witnessed upsurge of suicide bomb attacks in which many lives and property were lost in the past two months. The insurgents had recently attacked a team of prospecting oil workers on exploration at Lake Chad Basin. The insurgents also attacked Internally Displaced Persons (IDPs) camps in Maiduguri and Dikwa area of the state. Nigerian girl emerge third at 2017 Microsoft world championship Why are there underage children in Lagos State prisons?